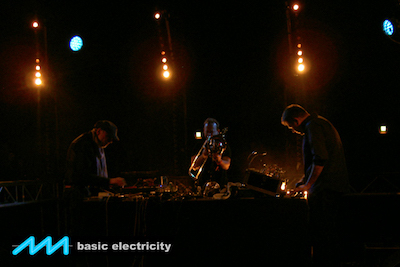 I’ll be playing live with Wolfgang Seidel, Hilary Jeffery & Hainbach this Friday, March 24th, at Berlin's best live electronic night, Basic Electricity. We’re very happy to have a new venue, the wonderful König Otto in the old Kindl brewery in Neukölln. There’s more info, pics and video here; the Facebook event is here. Doors open at 20:00, music kicks off at 21:00. The address is Am Sudhaus 3, 12053 Berlin Neukölln.